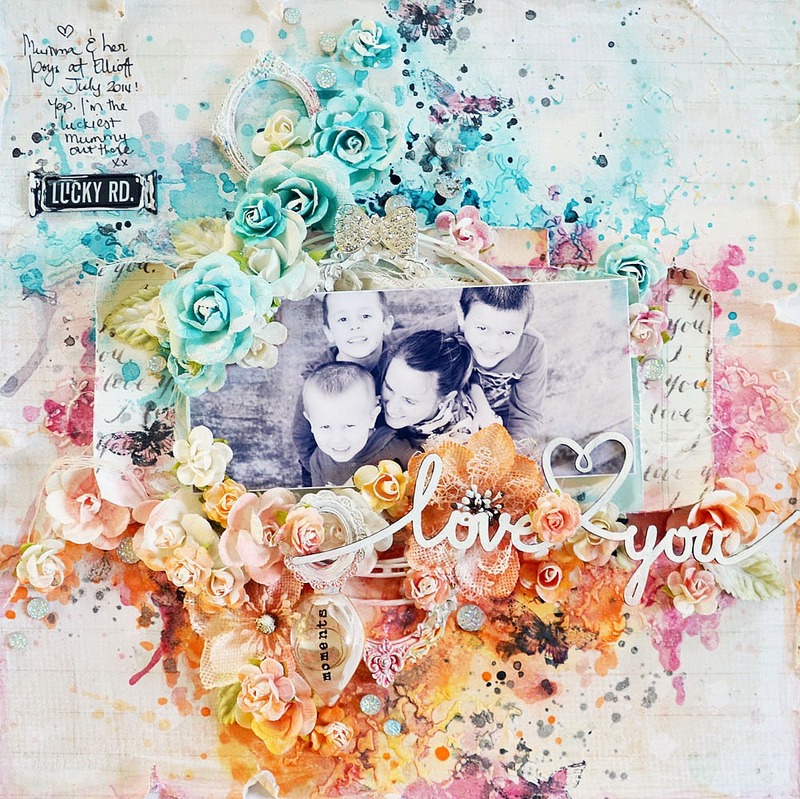 Hi there, I am finally back with a new Scrapbook Diaries kit. This one called Love You and choc full of beautiful things. Once again there are several options to purchase this kit and you will receive access to my step x step video with lots of tips and techniques. You can find all of the details HERE . Oh wow, your use of colours on this lay-out just leaves me in awe! I really love the mix of blue/green and orange/pink tones. You rocked this lay-out! Every day I look through your blog! Enjoy and recharge positive! Thank you very much for your work! Beautiful! Love all the flowers and the colors are lovely too! Your layouts always get me - how you chose those colors - Love it! Thank you so much - great layout, video and kit!! It was a lot of fun to watch and play along!